SEA ESTA Yacht Charter - Tte salon features a large dining table with wrap-around seating and wet bar. 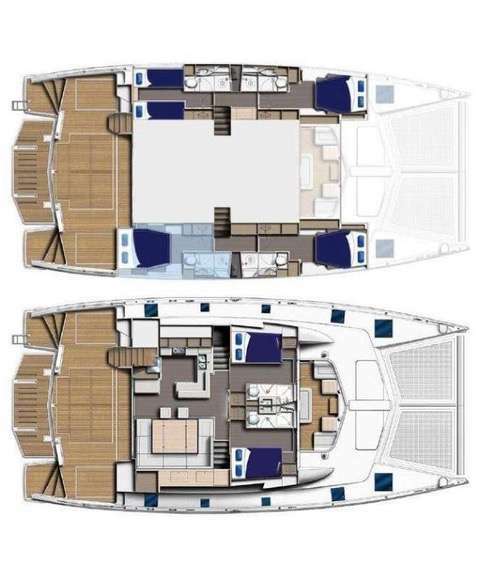 SEA ESTA Yacht Charter - Crew cabin with 2 twin beds. Crew can move to port forward queen cabin upon request. Kristi Marquart has a diverse background within the charter boat and restaurant industries. Her culinary interest sparked at an early age in her family’s restaurant and brewery in Kansas, where she worked every position throughout high school and college. Eager to grow in the hospitality industry after graduating from KU, Kristi went on to manage three successful restaurant openings across the country with a company that believed in serving real food sourced from American farmers. 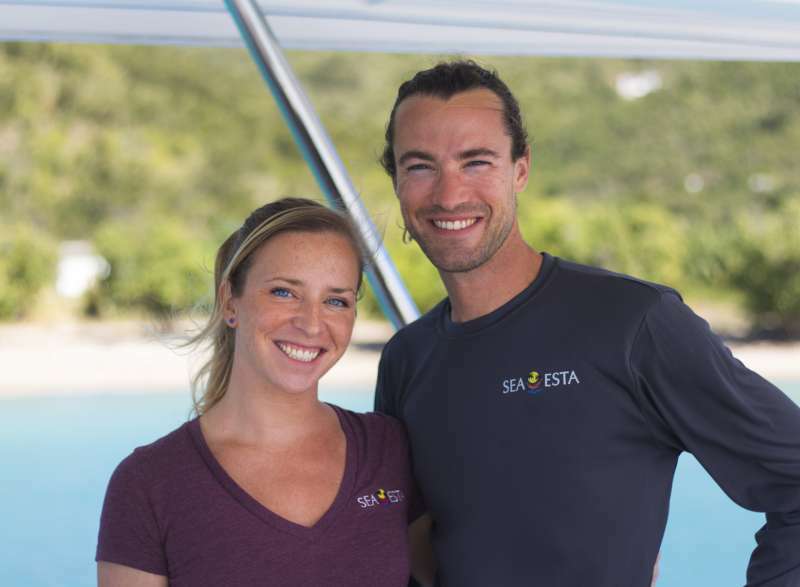 She has always loved to cook for friends and family but it was her experience working alongside talented chefs and restauranteurs that ultimately groomed Kristi for her role as the chef aboard Sea Esta. Her cuisine style utilizes fresh ingredients that bring both color and flavor to the plate. She obtains high quality cuts of meat and locally sourced eggs, produce and seafood (when available). Her menus are made with her guests preferences in mind, and she loves the creative freedom of serving beautiful meals that become a conversation piece over the table.